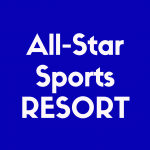 Planning a family vacation to Walt Disney World Florida? 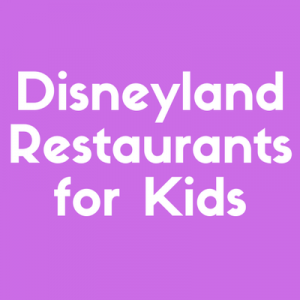 Luckily, almost all Disney Parks restaurants are kid-friendly. However, the seemingly endless number of options can be overwhelming when trying to narrow down the best fit for your family. When planning for a day at Animal Kingdom, it is important to note that many, if not most restaurants serve food with an Asian or African flair. 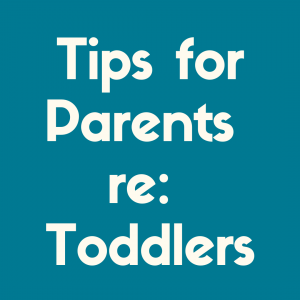 However, almost all restaurants include traditional options on their Children’s Menus, and there are a few American style restaurants for adults who prefer American food as well. 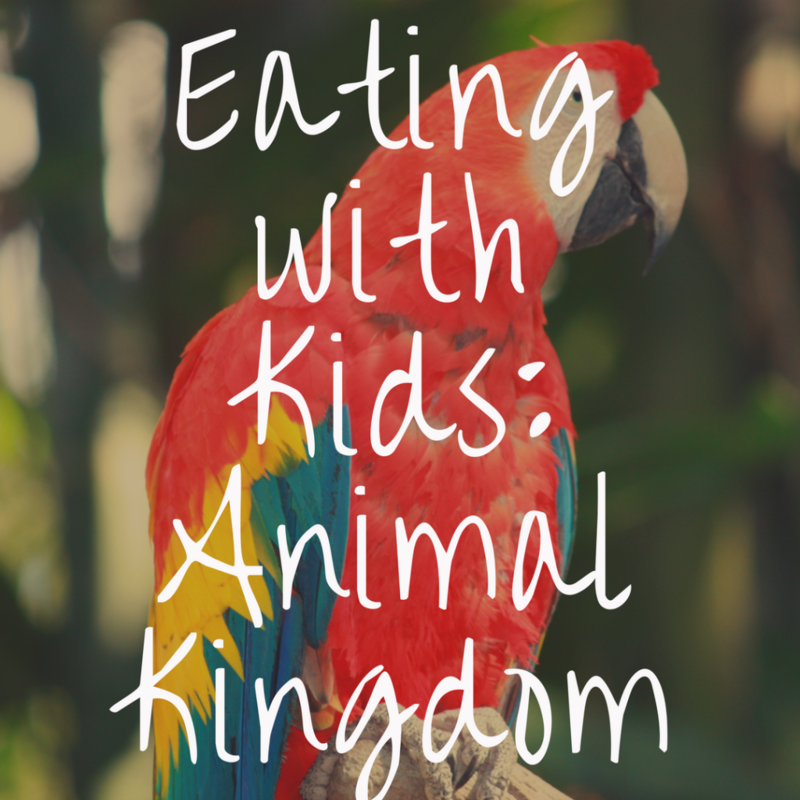 As expected, in this article, we’re going to focus on the best places to eat in Disney World with kids, honing in specifically on the Animal Kingdom area. I will provide insights into menus at each restaurant and detail why each choice works well for a family. These restaurants are organized by type, ensuring great options for all ages. Step out of the South African style open-air Harambe Market and enter this beautiful African inspired eatery. Each room of Tusker House is filled with detailed decor, giving the restaurant an authentic, vibrant, and eclectic ambiance. Tusker House is the only Character restaurant in Animal Kingdom. Mickey, Goofy, Pluto, Donald Duck, and other Disney friends attend Breakfast, Lunch, and Dinner. They will be sporting their Safari outfits, making for great family photos. Mickey and friends will rotate around the restaurant as you eat, stopping to talk and play games with each table. Children will have an amazing time here. The menu here is diverse, pleasing everyone from the more adventurous to the pickier eaters of the family. For breakfast, African inspired dishes like Spiced Corn Beef Hash with Cornbread Topping and Coconut Sweet Potato Casserole are served alongside classic favorites like Mickey Waffles, Scrambled Eggs, and assorted fresh baked pastries. For lunch and dinner, those looking for culturally influenced dishes will love the Mojo Pork with Spicy Mustard, Cape Malay Curry Chicken, and selection of fresh salads flavored with traditional African spices. For adults, delicious African Beers, Wines, and mixed drinks are offered as well. Children and adults alike looking for more classic options will enjoy Tusker House’s offers a Make Your Own Sandwich Station, Corn Dog Nuggets, and Macaroni & Cheese, and other classic favorites. As with all Disneyworld buffets, there is a large selection of desserts, some of my favorites include Mango Cardamom Fruit Tart and Chocolate Turtle Brownies. I also recommend Tusker House for families with children who are just starting to try out different foods. Children can taste the different dishes here without wasting money on expensive meals they do not like. 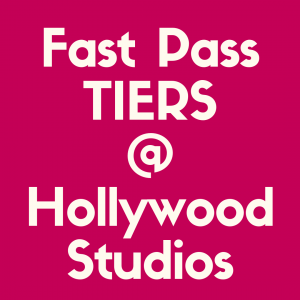 Overall, this is a great option for families visiting Animal Kingdom at any time of the day. Tip: Guests who book pre-park opening Breakfast reservations here will gain early entry to Animal Kingdom. This is an excellent opportunity to take beautiful family photos before the crowds enter the park. A short bus ride from Animal Kingdom is Boma, located at the Animal Kingdom Lodge. Ranked by Disney Tourist Blog as the Number One Buffet at Walt Disney World, this beautiful restaurant will not disappoint. Boma is inspired by colorful open-air African Markets, featuring stunning swaths draping the ceilings and eclectic statues placed throughout the restaurant. Look out for the Hidden Mickeys on the backs of the chairs here! Disney World labels Boma as a “family friendly buffet”. Like Tusker House, Boma offers delicious, unique African inspired options alongside classic favorites for picker palettes. If your whole family prefers classic, American style food, the breakfast menu at Boma will be your best bet. At Breakfast, Boma serves pancakes, omelets, and classic breakfast meats with a few African inspired options including an African Fruit Salad and Oak-Grilled Tomatoes and Asparagus. Try out the Pressed Pot of AA Grade Kenyan Coffee, it is great! For dinner, guests looking to try out culturally inspired dishes will love the huge selection of fresh salads, soups and stews made with traditional African spices. y favorite is the African-Spiced strip loin. Adults will love the selection of African wines and beers offered here. Animal Kingdom Lodge houses the largest number of African imported wines in all of North America. Dinner options for picky eaters are equally as delicious, including chicken nuggets, fish sticks, mashed potatoes, slow roasted ribs, and pasta with meatballs. Save room for dessert here, the options are vast. Be sure to try out the famous Zebra Domes, which are white chocolate covered mousse bites spiked with Amarula Liqueur. As Disney Food Blog notes in their review, these have attained a cult status at Walt Disney World. Overall, Boma is a truly excellent restaurant, and a great choice for families with children as it will please everyone from very adventurous eaters to the pickiest of palettes in a gorgeous setting. Tip: Take a stroll around Animal Kingdom Lodge after your meal for a beautiful view of the animals! These Magic Kingdom Area restaurants are a typical style where guests order their meals with a server who will bring the food to the table. Located at the base of Expedition Everest is Yak & Yeti, a delicious pan-asian eatery featuring traditional Nepalese decor. This is a great place for the whole family to take a relaxing break from touring Animal Kingdom and enjoy a delicious meal. Crispy Honey Chicken served with Jasmine or Brown Rice, and the juicy 10 oz American Kobe Beef Burger topped with sesame-soy mayonnaise. For vegetarians in your family, Yak & Yeti is able to substitute tofu for meat in many of these dishes. Adults can enjoy a large variety of Asian inspired cocktails, imported Asian Beers, and chilled Sake. The Children’s Menu here is one of the largest in Walt Disney World, featuring seven options. More adventurous children will love the Pork Egg Roll and Chicken Teriyaki meals, while picky eaters will enjoy the Cheeseburger, Macaroni & Cheese, Mini Corn Dogs, and Chicken Tenders. For dessert, everyone will love the hot tea service and delicious fried sweet cream wontons (these are seriously delicious, Disney Food Blog agrees!). Over at MousePlanet.com, the entire family gave Yak & Yeti an almost perfect score. There is truly something for everyone here, providing the perfect place to relax and refuel before heading back out into Animal Kingdom. For families looking to dine at a Signature Restaurant following a day of touring Animal Kingdom, look no further than Jiko. Located a bus ride away at Animal Kingdom Lodge, Jiko is cited by many as one of Walt Disney World’s best Signature Restaurants. As you step into Jiko, you will be greeted by two gorgeous wood burning fireplaces, the gorgeous open kitchen, and lavish African style decor. As this is a Signature Restaurant, a meal here comes at a high price, but I can assure that the quality of the food served is worth the price, in my opinion. Jiko’s menu changes seasonally, offering a unique blend of African, Indian, and Mediterranean style food. Found here is largest selection of South African wines outside of South Africa, the perfect accompaniment to your meal. Dinner begins with bread service with choices inspired by the regions mentioned above. Appetizers include delicious wood-fired flat breads, charcuterie plates, and unique salads. Dinner entrees feature meat, poultry, seafood, and vegetarian options cooked with bold spices always creating a uniquely delicious flavor that cannot be found elsewhere. One of my favorites that appears on the menu here often is the Oak-Grilled Filet Mignon. Jiko does not forget about children and picky eaters, the Children’s Menu is one of the largest of any Disney World Signature Restaurant. The menu will please everyone from children interested in trying something different like pan-seared scallops or grilled steak, to those who would like to stick with classics such as cheese pizza and macaroni & cheese. To finish off your meal, be sure to try one of Jiko’s unique desserts, which can be accompanied by one of Jiko’s delicious African style teas. Check out Disney Food Blog’s review for some great photos of the decor and menu items at Jiko. Tips: As Jiko is a Signature Restaurant, be sure to read the dress code prior to dining here. Take a stroll around Animal Kingdom Lodge after your meal for a beautiful view of the animals! For families who prefer an American Style menu but are still looking for an amazing, immersive theme, look no further than the Rainforest Cafe, which as DisDining.com describes, will please everyone. Step into the Amazon, a rainforest alive with animated animals, chest-pounding gorillas, and floor-to-ceiling fish tanks filled with colorful, tropical fish. Children will be in awe of the atmosphere. Be prepared! The occasional thunderstorm passes through this restaurant, complete with flashing lightning and pouring rain (don’t worry, you will not get wet!). Do not expect to see unique dishes here, the large menu offers mostly American food with a few Cajun and Mexican options. 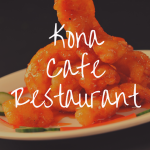 My favorites include the Blue Mountain Chicken Sandwich served with Zesty Safari Sauce for lunch and the Caribbean Coconut Fried Shrimp for dinner. Children will love the variety of options on the Kid’s Menu, offering everything from pasta, to popcorn shrimp, to hot dogs, to chicken nuggets. For dessert, do not miss the Sparkling Volcano! Enough for a family of four to share, this warm brownie cake topped with vanilla ice cream, chocolate & caramel sauce, and whipped cream is irresistible! The Rainforest Cafe offers the only Table Service Breakfast in Animal Kingdom. As Disney Food Blog states, the Breakfast meals are comparable to a diner, but is still quite good and will fuel up your family for a day touring Animal Kingdom for a reasonable price. I definitely recommend trying out Breakfast here if your family is not interested in the more expensive buffet meal offered at Tusker House. Overall, The Rainforest Cafe is a great moderately priced option for families looking to enjoy American style cuisine in a fun, unique atmosphere. Tips: Very young children may be frightened by the lights and sounds during the storms, ask your server for a warning if you are concerned so you can browse the gift shop during this time. The following Magic Kingdom restaurants feature counters where guests order food to take to their chosen tables themselves. There are no servers at these restaurants. Enjoy a relaxing outdoor meal, seated in the shade amongst lush greenery and local wildlife at Flame Tree Barbecue in the Discovery Island section of Animal Kingdom. As the name suggests, the name of the game here is Barbecue. Many, including Disney Food Blog, consider this restaurant to be one of the best Quick Service options in Disney World. Adults can choose from a variety of BBQ Pulled Pork, BBQ Ribs, and BBQ Chicken meals. My personal favorite is the St. Louis Ribs, served with savory baked beans and delicious Jalapeno Corn Bread. Also delicious on the Side Dish menu are the french fries topped with pulled pork and cheese. Children can enjoy a choice of a Chicken Sandwich, a Peanut Butter & Jelly sandwich, a Baked Chicken Drumstick, or a Hot Dog. As you may have guessed, Vegetarians will have a tough time here. If your family has vegetarian members, you may want to look elsewhere. The quality of food served for the price and the relaxing, unique outdoor seating make Flame Tree Barbecue the perfect option to take a break from park touring for a delicious meal! I would like to preface this review by stating families with very picky eaters will have a hard time here. The menu is mainly focused on African Inspired faire. However, families whose children like to try different foods will love the choices offered at Harambe Market. Modeled after a colorful open-air African Market, showcasing its signature iconic water tower, Harambe Market welcomes guests to try unique meals served from three different counters. Check out Disney Tourist Blog’s review for some great photos of the gorgeous decor. The meals here use fresh, locally sourced produce and raw foods delivered daily to the marketplace. Adults looking to sample African inspired cuisine will love the Chicken Tikka Masala served with Jasmine Rice, and my personal favorite, a Beef and Pork Sausage fried in Curried Corn Batter. Children with adventurous palates can enjoy a Grilled Barbecue Chicken Skewer, a Corn Dog, or Barbecue Ribs. Also served here are delicious traditional African beverages such as Bibo, a sweet Mango & Kiwi Soft Drink, and Sparberry, a Tangy Sparkling Drink. Once again, Vegetarians may encounter some trouble finding a meal here, and may want to look elsewhere. The unique menu options offered here are some of the best at this price point, and are perfect for families looking to sample African inspired meals at a lower cost than the Table Service options. The Quick Service version of Yak & Yeti Restaurant, Yak & Yeti Local Food Cafes serves up Asian inspired food at Quick Service prices. As Easy WDW notes in their review, seating is extremely limited here, and families may end up taking food elsewhere to find seating. Adults looking to try out Asian influenced meals will love the Terryaki Beef Bowl, Ginger Chicken Salad, and Honey Chicken dishes. For those adults who prefer American classics, the Kobe Beef Hot Dog with the option to add Asian style toppings like Kimchi and the American Kobe Beef Cheeseburger are delicious! Vegetarians who dine at this restaurant will love the savory Roasted Vegetable Couscous Wrap. Make sure to try out the Pork Egg Roll appetizer and the Pineapple Coconut Cake for dessert, they are delicious! Families with picky children will love the Children’s Menu here, which features classics like Cheeseburgers and Chicken Nuggets. Yak & Yeti Local Food Cafes offers the most well-rounded Quick Service menu in Animal Kingdom, everyone in your family is sure to find something they will enjoy! Offering Artisanal Flatbread Pizza in a sea of African and Asian inspired restaurants in Animal Kingdom, Pizzafari is perfect for families searching for a Quick Service, American style option for lunch of dinner. Featuring a colorful, “under the sea” atmosphere, guests here enjoy classic pizza flavors like Cheese and Pepperoni, alongside unique options like Mediterranean and Shrimp Flatbreads topped with Arugula and savory pesto. Also available are fresh Romaine salads and Baked Pasta Bolognese. Try out the Garlic Knots, they are great! Children have a choice of Cheese Pizza, Macaroni and Cheese, Pasta with Turkey Marinara Sauce, and a Peanut Butter & Jelly Sandwich. You may be as surprised as I was to learn that Pizzafari food is generally given great reviews, especially following its recent refurbishment, as noted here by WDWNT. This is a perfect location for families to enjoy a relaxing Quick Service Meal to refuel and head back out into Animal Kingdom. 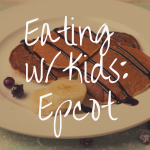 Walt Disney World restaurants are so well suited to families with children that no matter where a family chooses to eat, they can rest assured they will have a meal everyone will enjoy. The options mentioned above are some of the best restaurants in Disney World for variety, quality of food, and atmosphere in the Animal Kingdom area. No matter where your family chooses to dine on your Walt Disney World Vacation, the experience will be truly magical.